3 bedrooms and 2 bath home in pristine condition. Open foyer area features a decor niche with plenty of space for bench or entry table. Hardwood, vinyl, and carpet floorings. The living room features a vaulted ceiling and is open to the kitchen and breakfast room. Open kitchen with lots of storage, countertops, and appliances. There is a pub height bar between the kitchen and living room for additional dining space. The master bedroom features a vaulted ceiling with a plant ledge, walk-in closet, and double window. The laundry room is just off the foyer and features a window, cabinet, and shelving. Inside, you’ll love the neutral colors of this home, making the home’s interior appear more spacious. The open floor plan is definitely a plus, there’s easy foot traffic from the living room to the kitchen and the rest of the house. There’s plenty of natural light coming in from the large triple window at the back of the house in the living room as well as the sliding glass door in the breakfast room. Get cozy in the living room, enjoy the warmth of the fireplace, or enjoy the privacy of the bedroom. The master bedroom features a vaulted ceiling with a plant ledge, walk in closet, double window, and a spacious master bathroom with a nice size linen closet and vanity sink. All the bedrooms have carpeted flooring. The kitchen has everything you need from storage, extra dining space, and appliances. The laundry room is on the front of the home just off the foyer and features a window, cabinet, and shelving. Outside, there is plenty of space for outdoor dining. 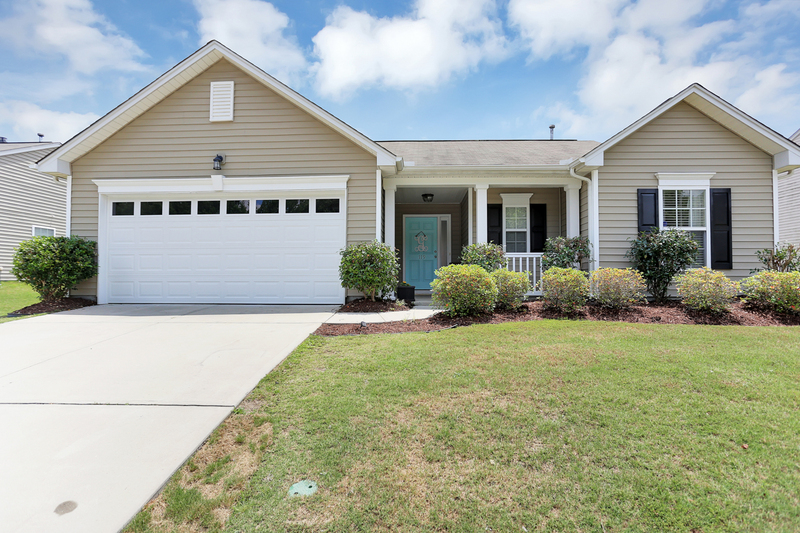 Another thing to love about this home for sale in Bryson Meadows is its great location. 119 Garfield Lane is conveniently located to I-385 and Heritage Park. Downtown Simpsonville is also nearby so you’ll be a lot closer to city amenities, improving the quality of life.